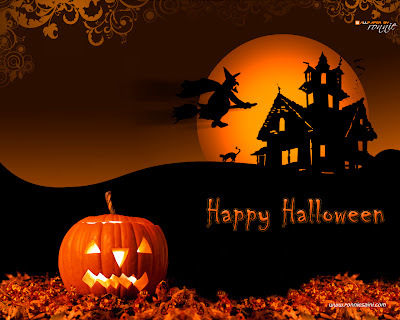 This is my most favourite holiday because I am a fan of seeing people in their costumes, the spooky aspect towards music, movies, and television, and just the campy fun with everything people do.I hope everyone has an amazing time this weekend whether you go out celebrating or simply going trick-or-treating for candy. Just be careful and be safe when you're out at night since people have gotten hurt by accident or have tasted bad candy; Urban Legends are not just stories, they've had to have derived from some nugget of truth. Have fun everyone and enjoy the spooky day before its over.